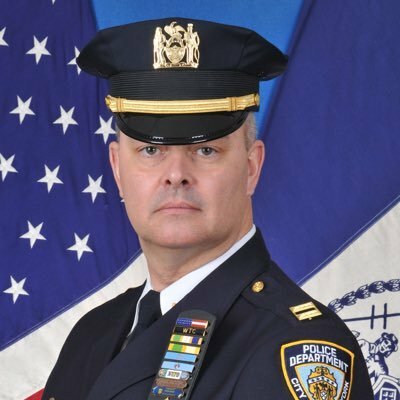 The NYPD has appointed a new commanding officer for the 108 Precinct, which covers Sunnyside, Woodside and Long Island City. Captain Michael Gibbs took over the command last week, replacing Deputy Inspector Ralph Forgione who headed the precinct for two years. This will be the first time Gibbs has been in charge of a precinct. He was the executive officer—or second in charge—at the 110 Precinct, which covers Elmhurst and Corona, prior to the appointment. Gibbs, who was raised in Woodside, has been with the NYPD for 25 years. He started his career in the Bronx and spent several years as a transit officer. In more recent times, he was an executive officer at Citi Field and the 104 Precinct, which covers Ridgewood, Maspeth and Middle Village. The 108 Precinct is often the place where officers lead a command for the first time. This was true of Forgione and his popular predecessors Deputy Inspector John Travaglia and Brian Hennessy. All were transferred after being in charge for about two years. Forgione has been reassigned to Patrol Borough Brooklyn South, a unit that oversees 13 precincts in Brooklyn. Details as to what role he plays there was not known at press time. Crime remains low in the 108 Precinct. In 2018, there were just two murders.